Today is Thanksgiving here in the USA and I thought it would be appropriate to share the WooCommerce code snippets that I’m most thankful to have in my arsenal. WooCommerce is great out-of-the-box but many times you need to customize it’s look and feel or functionality. The following code snippets will help you do both. WooCommerce has default text throughout the shopping experience that you may want to change. For instance, I recently built a site for a non-profit that didn’t want any mention of “cart”, “product”, or “order”. While this may be hard to change in some eCommerce systems, WooCommerce makes it pretty easy. This will change the button text for the “Add to Cart” inputs. Update the text to suit your needs. The checkout page is the most important page in your shop. It’s where you ask your customers to shell out their hard earned money to purchase your products. Why not spend a little extra time making it easier and better optimized to convert? Here’s several snippets I find myself using regularly to do just that. A default install of WooCommerce may not have your preferred country selected. If you typically sell primarily to one country then it makes sense to set that country as the default. If you are selling a product mainly locally it doesn’t make sense to ask the user to select the state. Manually set the state and make the checkout process easier. This is probably one of my favorite snippets. Why? Because it makes checking out faster by removing the “Cart” page that appears prior to entering the checkout page. Many times, you don’t even need a cart page to display. Most times users are only shopping for a single product. The cart page adds an unnecessary step that users can bounce out from and abandon their cart. Skip the cart and increase conversions. Sometimes you want to personalize the button text on the most important button in your entire shop: the “Order Now” button. This is the button that the user clicks when they’re ready to spend money. The money button. Depending on the site you’re building you may need to heavily customize WooCommerce. Thankfully it is very well documented and has tons of actions and filters for you to hook into. Here’s several snippets I find myself using all the time to remove elements found in a default WooCommerce implementation such as breadcrumbs, tabs, reviews and page headers. Breadcrumbs are great, sometimes. Many designs don’t have them, so here’s how you get rid of them. Here are a number of snippets that don’t fall in the categories above but are very useful. 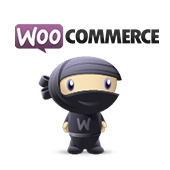 WooCommerce like to place all their scripts on every page of your site. You can tell it to load only on the shop pages using the following code. For more information see this article. Sometimes it’s useful to add additional custom column data to the standard order columns in the WordPress backend. As you can see WooCommerce is incredibly flexible and you can easily customize and remove various elements throughout the cart. If you have a snippet you think should be included please use the comments below! Here’s the code I found and used to remove reviews (placed in functions.php – might move it to a child theme). I this any better/worse than your example code? I’ve heard good things about that extension… thanks for the share. please tell me accurate way to generate email when click on place order with this also change status of order to complete. I tried to use the “Change Add to Cart Button text” snippet by adding it to the functions.php file in my child theme, but got no change on my web site. Does it need to go somewhere else? Thanks. BTW, what is the code display plugin that you’ve used on this post? Hey your post really help me out. have little issue if you could help me it would be great. I want to make limitations on the purchase of products if the user fail to make minimum purchase they have to pay extra amount. The hook isn’t woocommerce_add_to_cart_message it is wc_add_to_cart_message. The code works flawlessly once the correct hook is called. I’m sure this all works, but where exactly do I put these code snippets? Do you have to edit the code thats in the ftp woocommerce plugin files? Thanks. 01. Create a child theme. If you don’t know how to do this, just google it, it’s simple. 02. Within your child theme, one of the files is functions.php, insert those codes there. Awesome list. Just used three of them on my new ecom site. Thanks.